Vehicles with sunroofs are becoming more and more popular. This is particularly true in areas of the U.S. that are warm and sunny, like Las Vegas, Nevada. According to a report issues by the National Highway Traffic Safety Administration (NHTSA) the market size for sunroofs goes up each year; not only are more vehicles with sunroofs being sold, but the actual size of the sunroofs are getting larger and appearing on more vehicles. The NHTSA study revealed the market share for vehicles with sunroofs was close to $5 billion in 2015 and the average growth rate for them is projected to increase by nearly 11% by 2022. Despite the increase in demand, however, the safety features relating to sunroofs has not - in fact, there is no safety device that prevents vehicle passengers from being ejected out of a sunroof in the event of a Nevada car accident. The New York Times reported earlier this year that an 18-year-old female was ejected from her vehicle through the closed sunroof of her SUV; she was paralyzed as a result of the accident. The family sued the vehicle manufacturer, Ford, but lost. As part of its defense, Ford argued that there is no government regulation that requires any safety features on a vehicle that would keep someone from going through the sunroof in the event of a crash. Ford is correct. Presently, the NHTSA does not require any safety devices to prevent a crash victim from being ejected through a car’s sunroof. Studies have shown there are several factors that affect passenger ejection risks in car accidents, including rollover risks and seatbelt use. While a deployed airbag could help prevent a vehicle occupant from being ejected through a side window it does nothing to keep a passenger from being thrown out of the sunroof. Some options that vehicle manufacturers are considering to increase the safety of sunroofs is to use different material, such as laminated safety glass, which is the same material that windshields are made of. Most sunroofs are made out of tempered glass. Critics of this idea, however, suggest that laminated safety glass will likely increase head and neck injuries and could possible kill victims from the impact. Others, like Hyundai, have considered a panoramic sunroof airbag with the goal of protecting a crash victim from being ejected through the sunroof, even if it is open at the time of the collision. Some car manufacturers, like Volvo, have developed sunroofs with laminated glass. 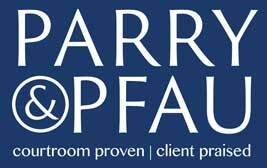 If you or someone you know has been injured in a sunroof-related car accident in Nevada, or have suffered any other type of personal injury due to the fault of another, contact the experienced attorneys at Parry & Pfau. Our skilled Las Vegas personal injury attorneys have years of experience fighting for the injured across the state of Nevada, and will fight for the compensation you deserve. Call us at (702) 213-7379 today to schedule your free, initial, case evaluation. Newer PostIs it Legal to Take a Photo of Someone Else? Older PostIs it Legal to Drive with Your Pet in Your Car?